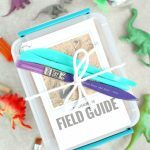 It seems like you can never have enough outdoor activities once Summer rolls around. With school being out in a few days we are about to have a lot more time to fill, so I’ve been really trying to think of new ways to spend quality time as a family. Family fun is really the best kind of fun anyway, right? 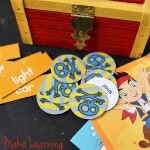 My kids are at the age now where they are really getting into games and cooperative play, so that means that the sky is the limit when it comes to getting creative with our activities. 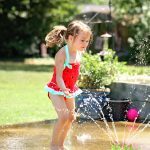 You know I’m a big fan of DIY to save money, and I have found that some of the best times can be had for very little, so here are a few of our favorite new things to do for hours of fun in the sun! 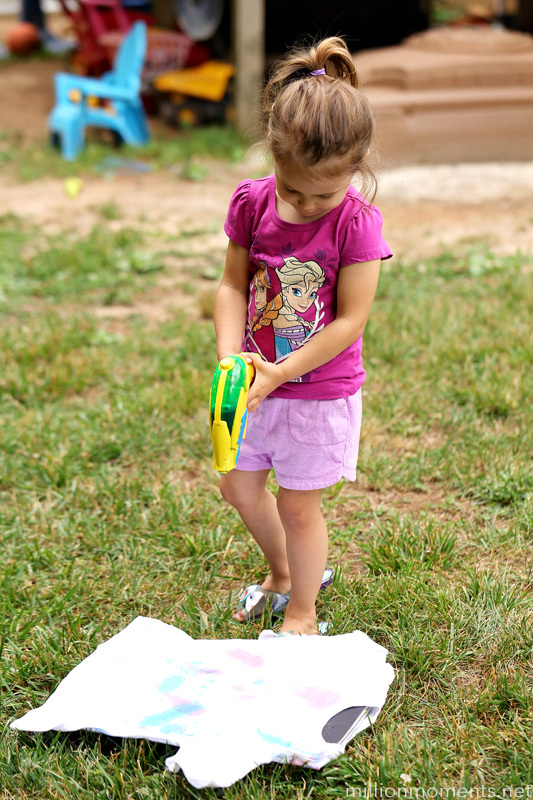 I think every family should have a good set of water guns when temperatures start to rise. Seriously, these babies have SO MANY uses! 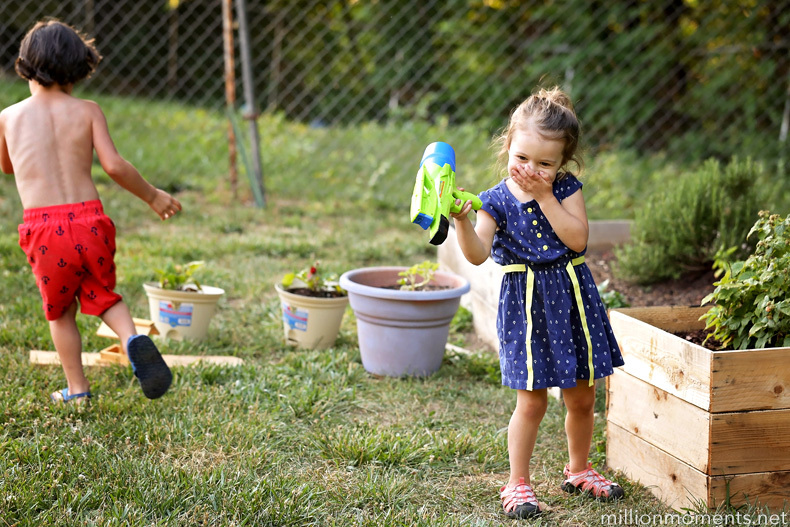 Water guns were always a favorite of mine growing up, and now that I have kids? Well lets just say that it’s every man (or kid) for themselves when they come out. There are tons of different kinds of water guns out there with fancy bells and whistles, but really all that matters is a good sized reservoir and that it doesn’t leak. So save your cash on the showy gigantic canons, because money can’t buy this kind of joy. 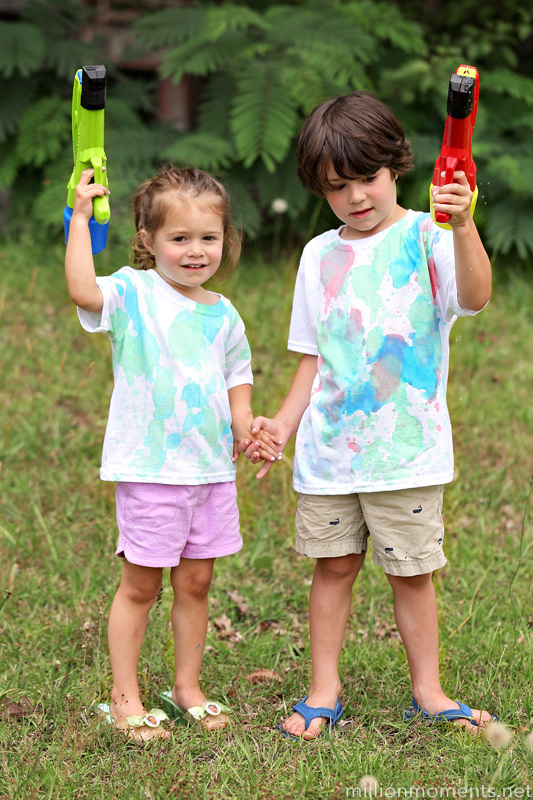 I wanted to switch things up, so the other day I mixed a little food coloring in with the water in the guns, gave the kids some cheap white t-shirts, and then let them shoot each other with them. It brought things to a whole new level, and they even ended up with some cute shirts too! 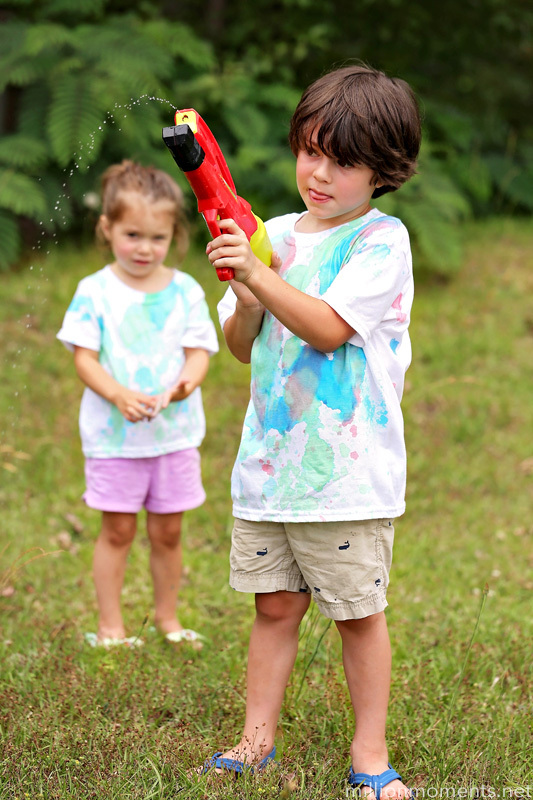 If you want something more permanent, you can add some fabric dye to the water and have them shoot their shirts while they are laid out on the ground. They will have a blast and get to wear their very own artwork. Another fun thing that is good to have around is sidewalk chalk. 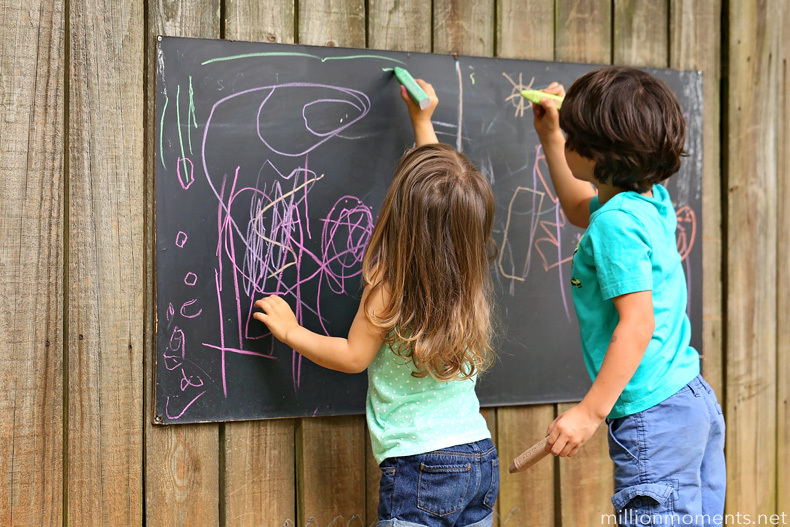 Kids love sidewalk chalk, and if you have a surface like a fence or even the side of your house you can grab a big blackboard from your local home improvement store for less than $10 and attach it for hours of fun. I bought this one last year and the kids draw on it every day. We even play games like fill in the blank and more! 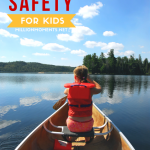 One thing to remember with outdoor fun is that you need to stay protected. 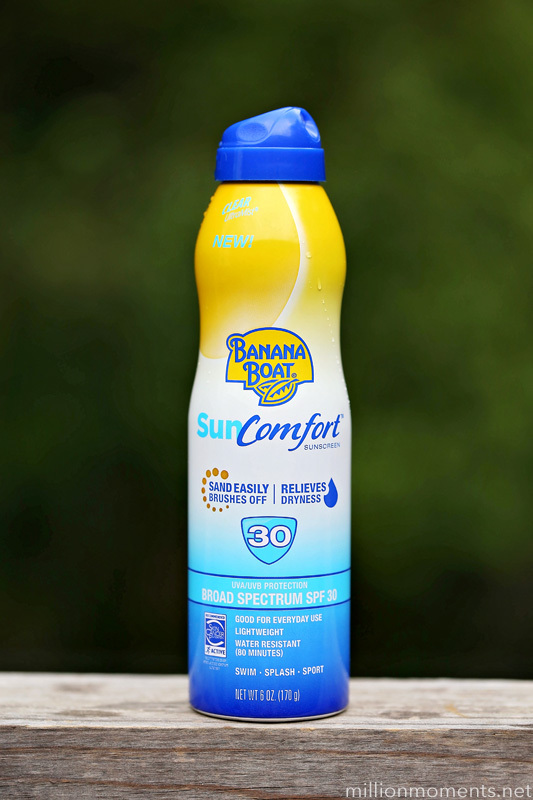 I don’t want my littles getting crispy from long hours in the sun, so I always make sure to spray them with Banana Boat® SunComfort™ Clear UltraMist® Sunscreen. It’s a spray, so there is no mess to deal with or rubbing in to take up precious time that you could be having fun. It’s water resistant for up to 80 minutes, available in SPF 30 or 50 AND helps moisturize skin too! Protecting your skin from the sun is extremely important, especially for kids, so I keep it by the door to remind myself to spray every time we go outside. And then once we’re all protected, we can go out and enjoy our family time without worrying about it!